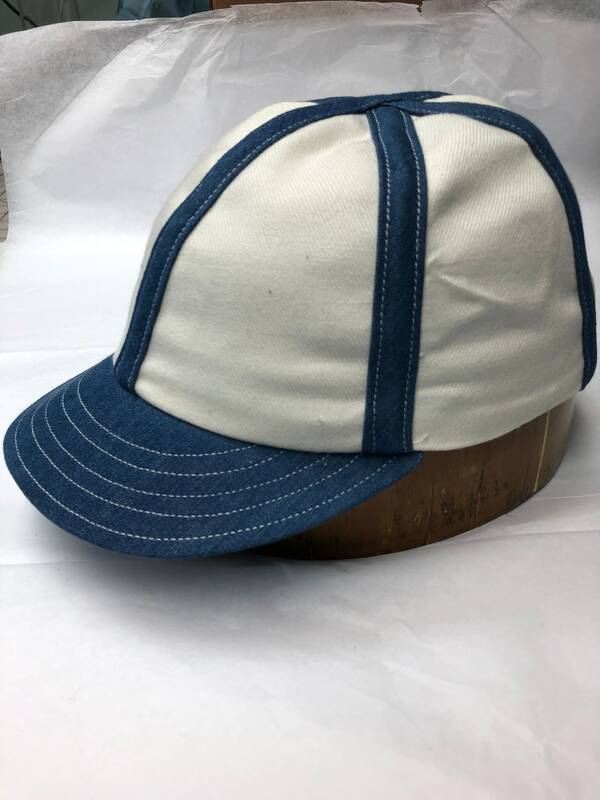 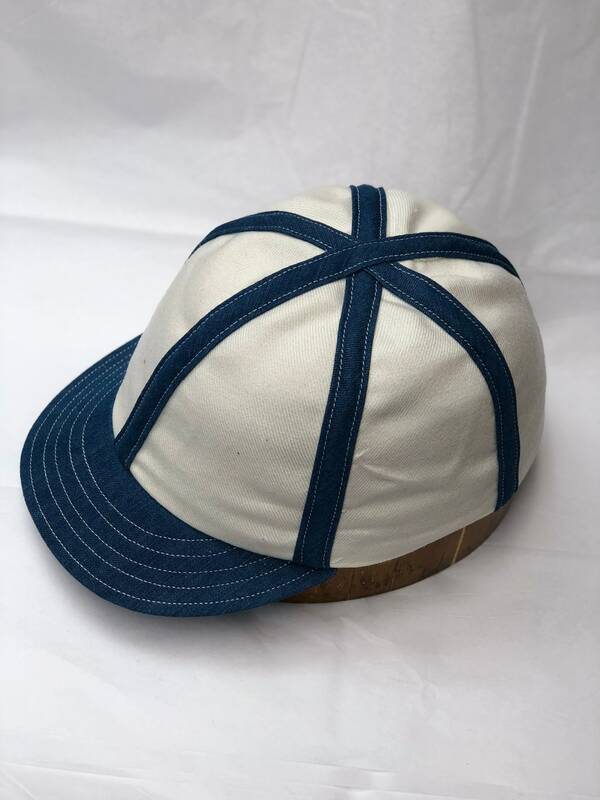 Off white acrylic wool serge 6 panel cap with contrasting denim exterior binding and visor. 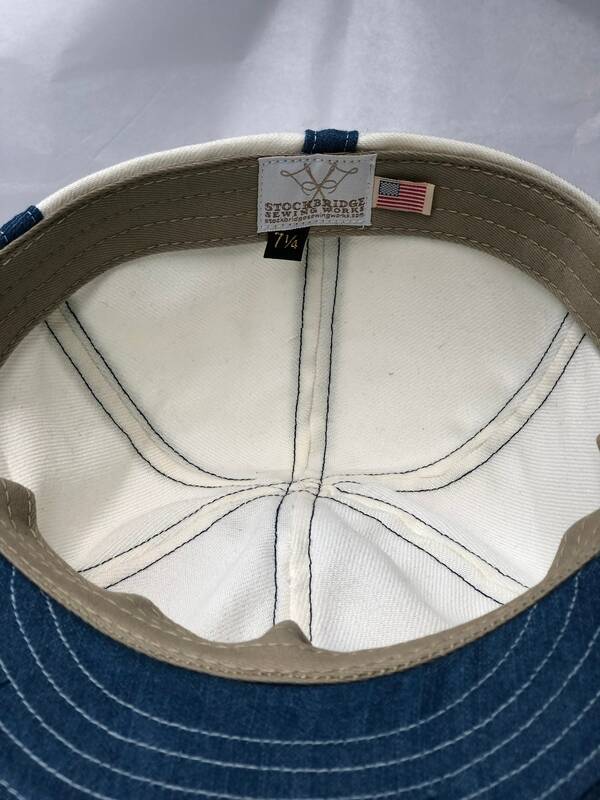 Fitted to any size. 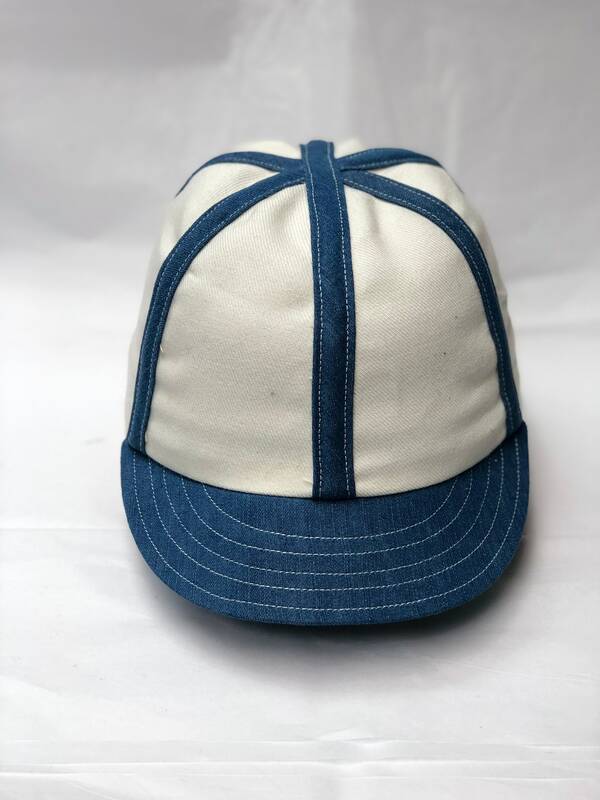 Sturdy Acrylic wool serge fabric is used for the crown of this cap. 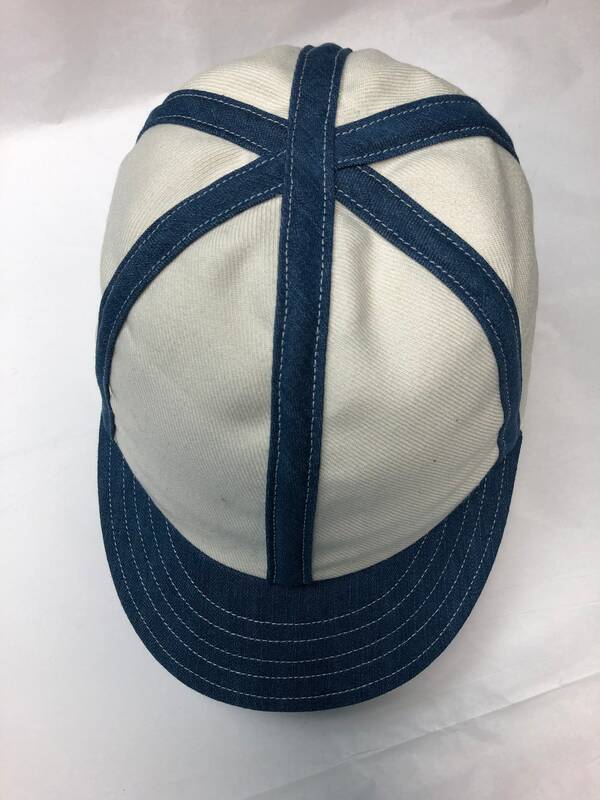 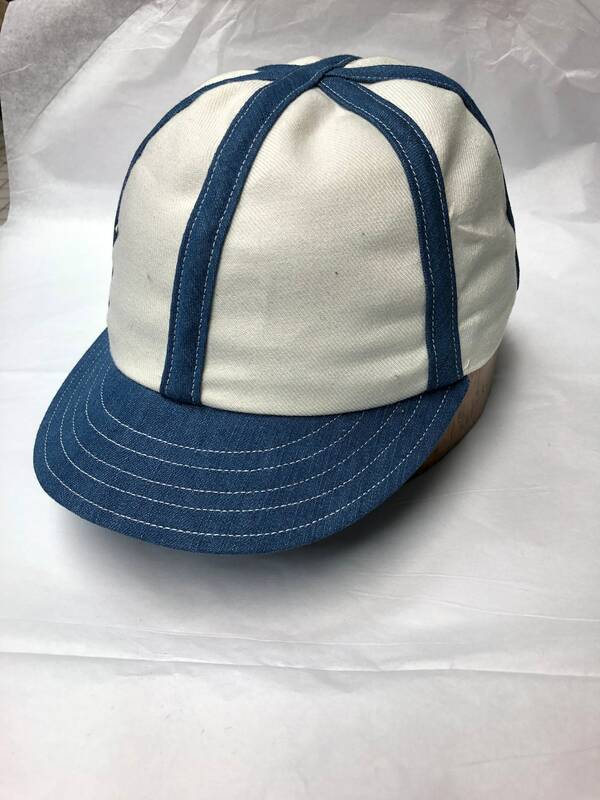 Lightweight denim is used for the exterior binding on the seams as well as the flexible 2” visor. 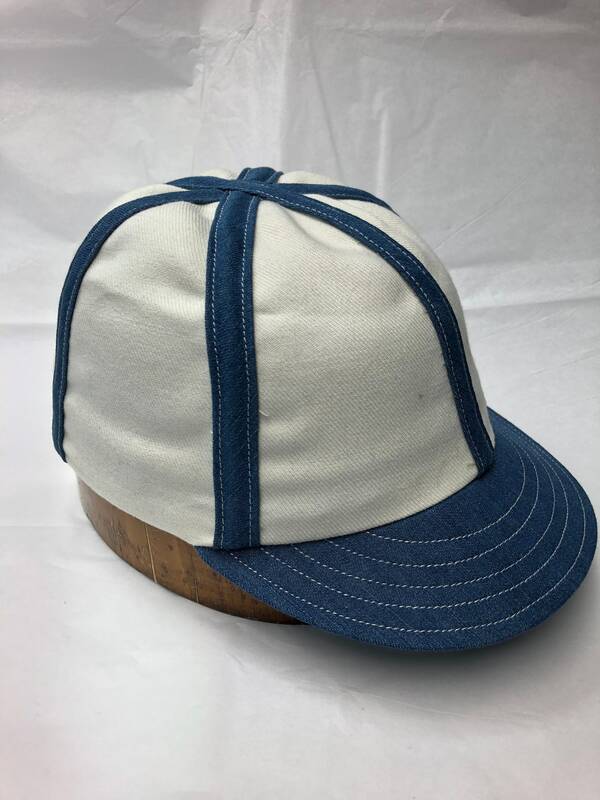 Fitted to any size with brushed cotton twill sweatband.